Adidas makes golf bags? 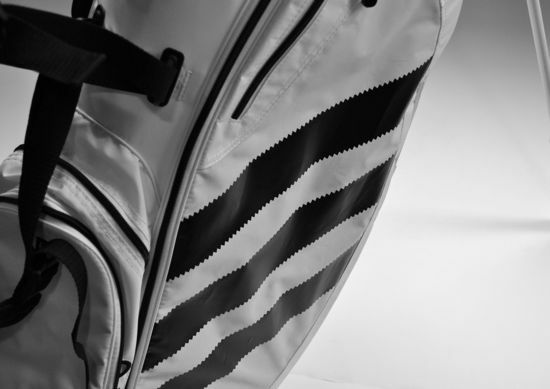 I didn’t realize that until just recently when Fresh was asked if we’d like to review the new Adidas Samba golf bag. That’s right – there’s a Samba golf bag that follows the styling of the Samba golf shoe. Yes, it is a bit strange that lineage of all of the Samba equipment started with a soccer shoe, specifically a shoe designed to play soccer on icy and frozen turf conditions. The Adidas Samba soccer shoe was first introduced in 1950. When the spikeless golf shoe movement gained momentum a few years ago – Adidas introduced a golf shoe modeled on the classic style of the Samba. I’m not sure how Samba made it to the golf bag world, but I’d bet that it has something to do with the popularity of the Samba golf shoes. 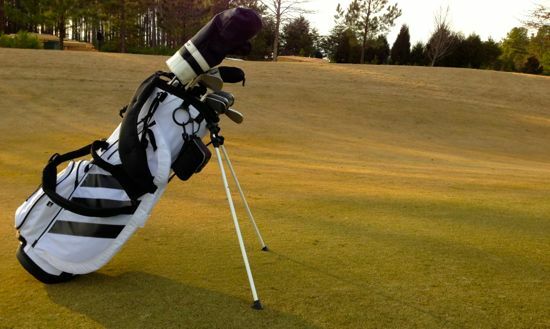 Regardless of the name, the Samba golf bag is a great lightweight stand bag. I truthfully didn’t expect a whole lot out of the bag given my recent obsession with navigating the carry bag world. 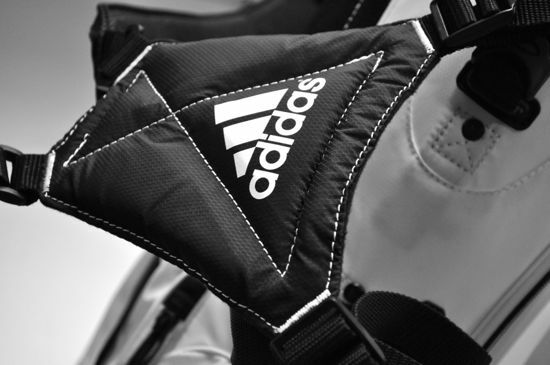 As I looked through what the golf world had to offer for solid carry bags – Adidas wasn’t on my radar. I was pleasantly surprised by the bag – especially since there were a few things that were noticeably different and improved from other stand bags that I’ve previously used. I opted for the white bag because I haven’t ever used a white bag before and was interested to see how it would standup to the rainy, muddy, and generally dirty winter playing conditions here in North Carolina. The bag has a really great look overall and I’ve ended up really liking the white bag (even through the winter). The bag material is surprisingly thin, but still thick enough to be durable. I haven’t had any wear-and-tear issues with the bag after a few months of frequent use and quite a few trips (both car and plane). The bag has plenty of pockets and all of the pockets are well-designed. There is a softer velour valuables pocket, a full-length clothing pocket, an insulated water bottle holder, and a few other standard pockets. All of the pockets have plenty of space and stay out of the way if you don’t use them. I generally only grab a few sleeves of balls and my valuables bag – so it’s rare that I use many of the pockets. I did find the additional pockets useful in the colder weather with the ability to stash a few warmer pieces of clothing and an additional water bottle (since most courses remove water from the course when it gets really cold). The dividers in the top of the bag are more than I’ve used in the recent past. I’m pretty convinced that there’s no reason for more than two separate dividers in a carry bag. Although the 7-way top felt excessive, it didn’t ever really get in my way and it did keep the clubs separated well. The configuration of the slots felt like they actually made the bag carry a bit easier with the wood lined up directly against my back (which felt like it stabilized the weight of the bag). The biggest surprise for me was how much I loved the zippers on the bag. 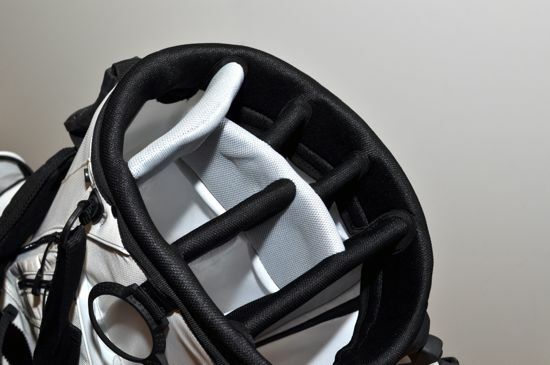 When I first took a look at the zippers the first thing that crossed my mind was that they would easily break and that Adidas was trying to save money by cutting materials cost. I couldn’t have been more wrong. 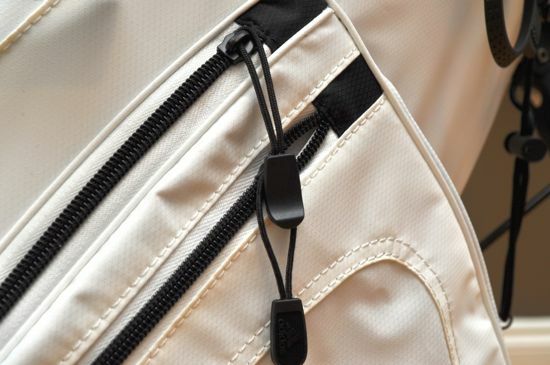 The zippers on the bag have held up great and they are light enough that they make all of the pockets accessible with one hand while wearing the bag. As far as comfort goes – the bag is great. The shoulder straps are adjustable at both the top and bottom of the straps which is a nice plus for someone on the shorter side (like me) and allows for the ability to tune in the perfect fit. 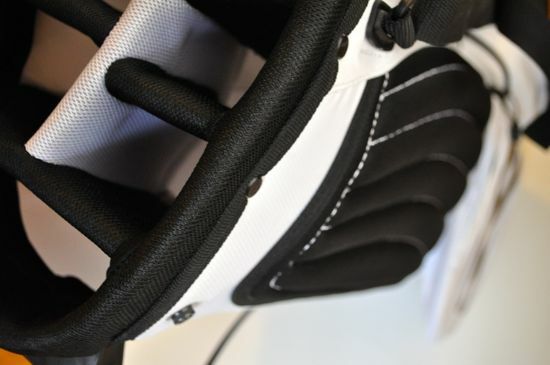 A variety of other great features include the ability of the bag to spring open on deeper grass (where many other bags wouldn’t), the trunk handle (which is better while walking than for loading in the trunk IMO), and the contours of the pockets (to keep balls and loose materials from easily rolling out). 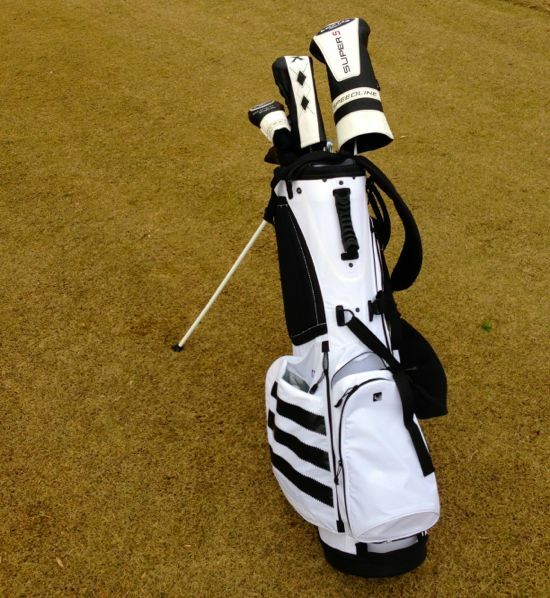 Adidas has done an excellent job with the Samba golf bag and they’ve done it at a low price. 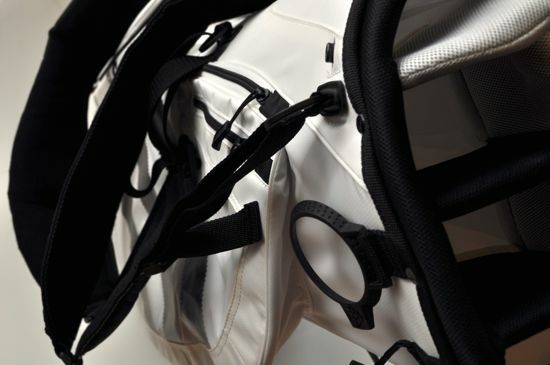 If you’re looking for a lightweight (4 lbs) and versatile stand bag this is a bag your going to want to take a look at. 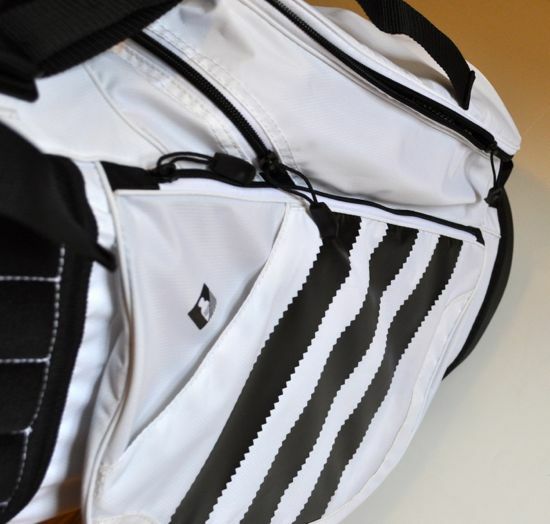 Want to see a few more pictures of the Adidas Samba golf bag? 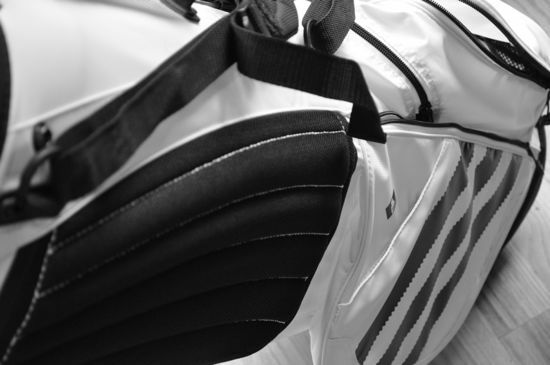 Check out our Adidas Samba Golf Bag photo album on Facebook.